Springtime is a great time to control Scotch broom by pulling. Moist soil makes it easier to pluck young broom plants out of the ground. For older, more mature plants, try using a Weed Wrench. The Clackamas County SWCD has Weed Wrenches available to loan. Contact our WeedWise program staff for more information. 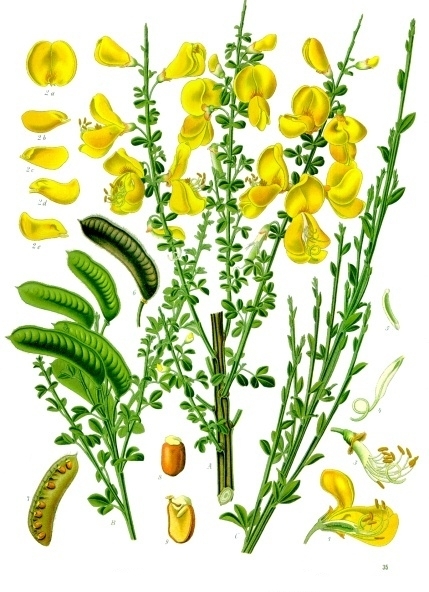 Scotch broom is native to the Mediterranean region of Europe. This perennial is highly invasive in the Pacific Northwest. Scotch broom competes with native species for available light, moisture and nutrients, especially on disturbed sites. Seeds of Scotch broom can persist in the soil for many years, making eradication difficult. If Scotch broom is invading your land, contact us today for a visit from one of our weed specialists or come to the Getting Wise to Weeds workshop on March 28. The graphic above is in the public domain, source is Wikipedia.